Welcome to Swan Lodge. 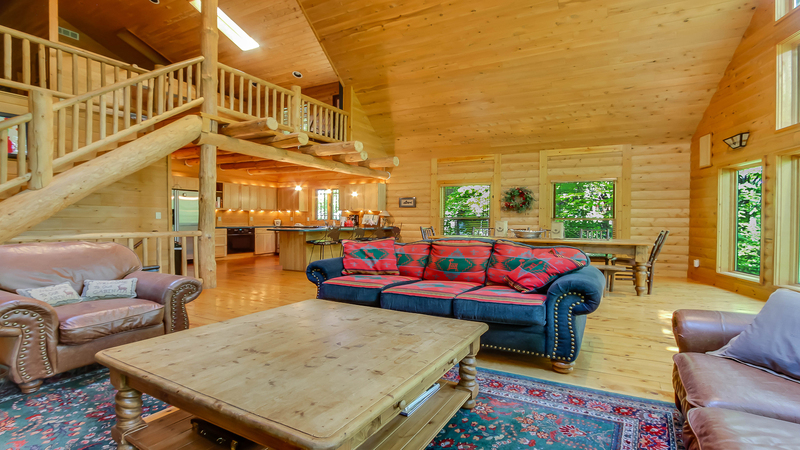 This log-cabin style home sleeps 10. 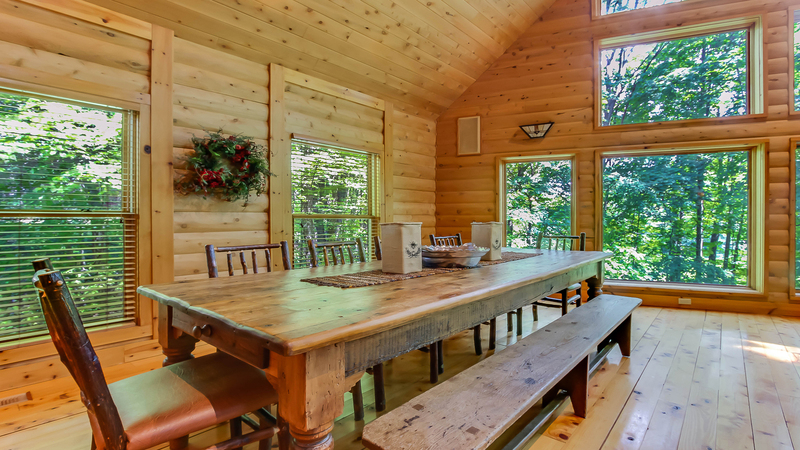 Swan Lodge is a dreamy wooded getaway. 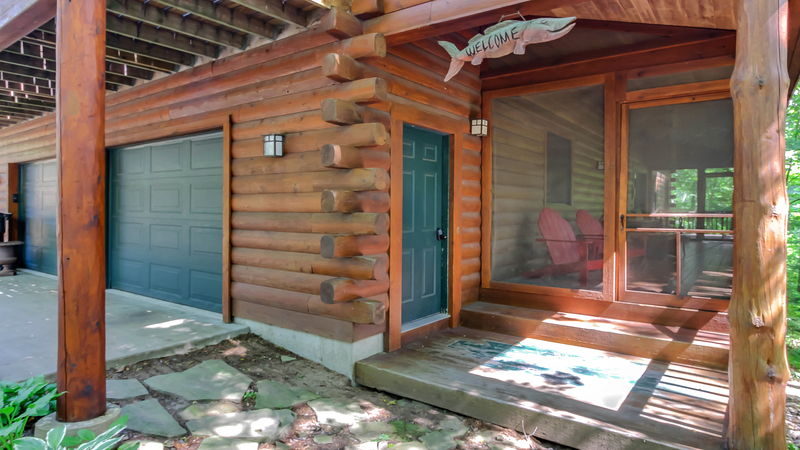 The entrance to the lodge and the screened-in porch. This is a great spot to eat lunch with plenty of seating. Warm up by the stone-hearth wood fireplace. The open living area connects with the dining room and kitchen. The large rustic dining table seats 10. 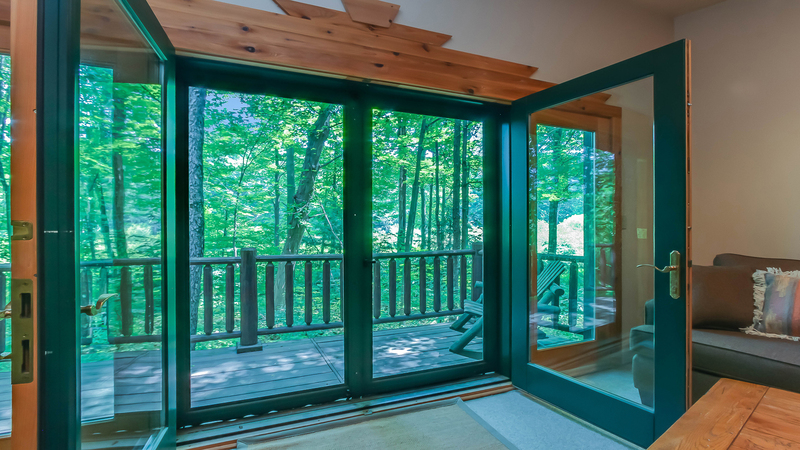 Catch woodland views from those two-story windows. Prepare meals in the well-supplied kitchen. Warm wooden tones fill this house, even in the kitchen! The guest bathroom features a stand-in shower. The second floor master suite is lofted above the lower level. The master loft includes a king-size bed. And a living area with a sleeper sofa. 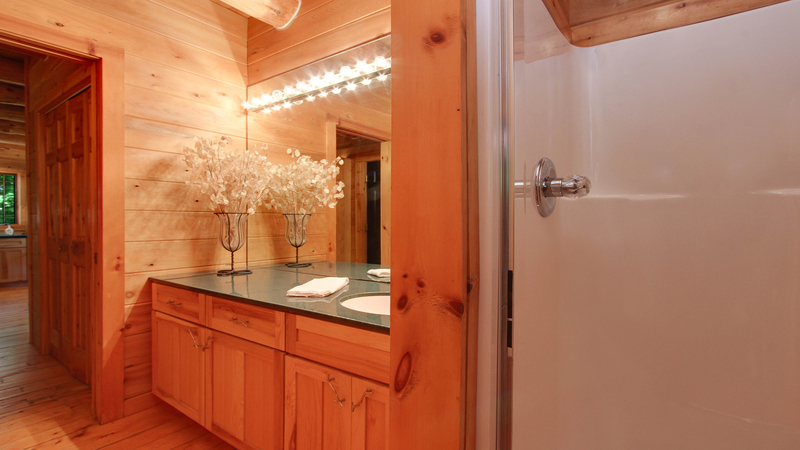 The master bathroom features a jacuzzi and a stand-in shower. The master bedroom also has access to a private balcony. 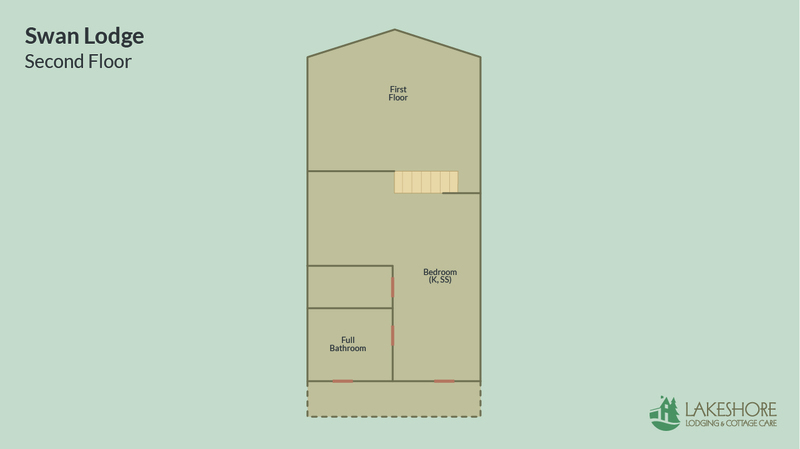 Another guest bathroom is located in the basement. 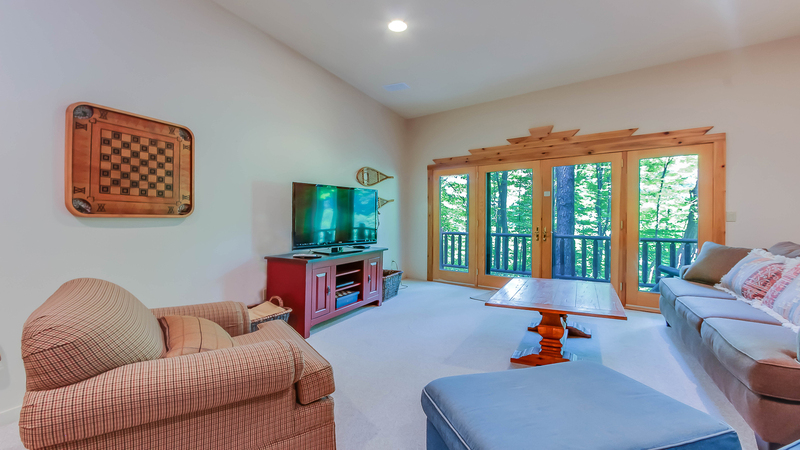 The lower level has a den with a TV. The den also has a sleeper sofa to accommodate more guests. 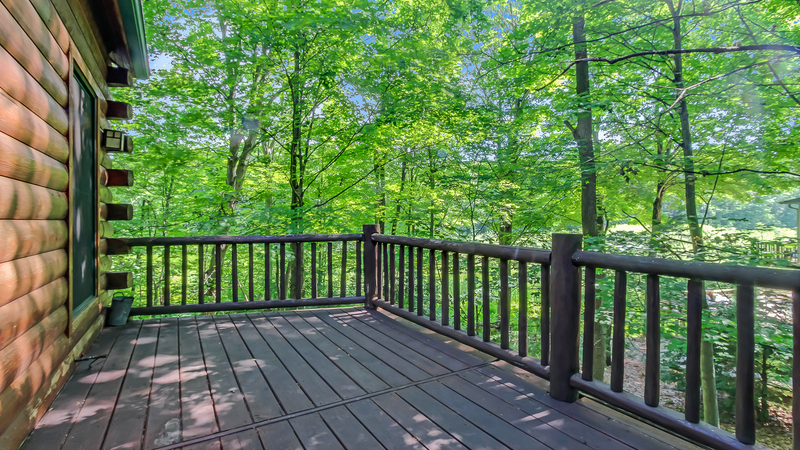 The den also has access to a scenic deck. 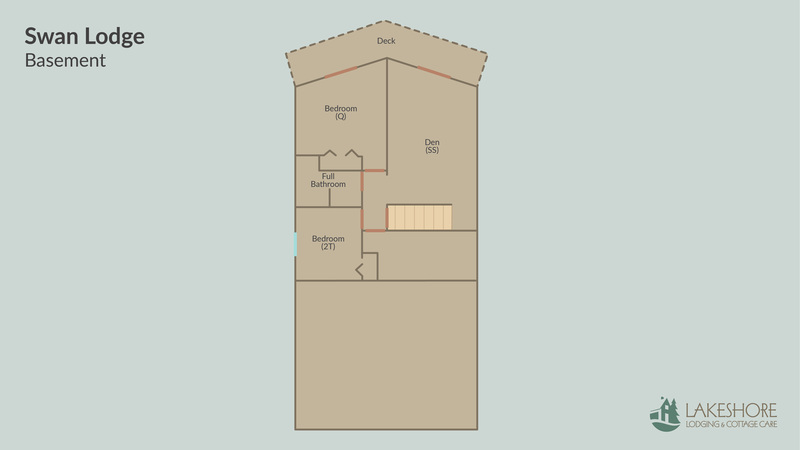 The lower level guest bedroom has a walkout onto a balcony. The guest bedroom has a queen-size bed. 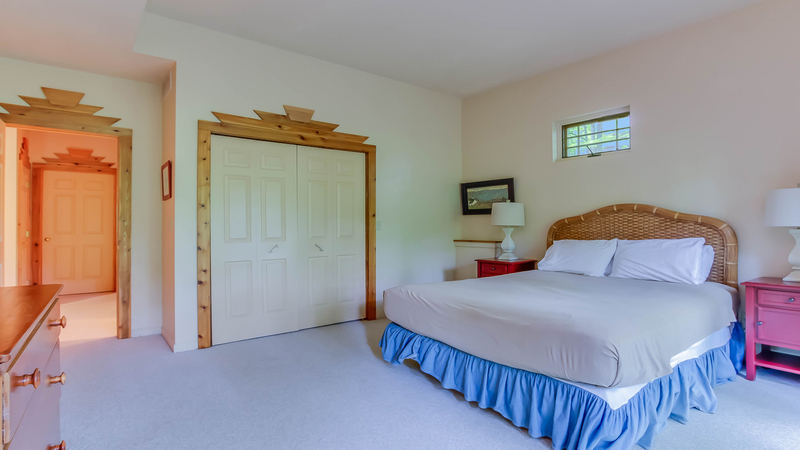 Another guest bedroom in the lower level features two twin beds. Swan Lodge is located "on the hill" -- that famous Saugatuck neighborhood that puts it just a 4-5 block walk from downtown shops, dining, and galleries. You wouldn't know it from the home's surroundings, though. 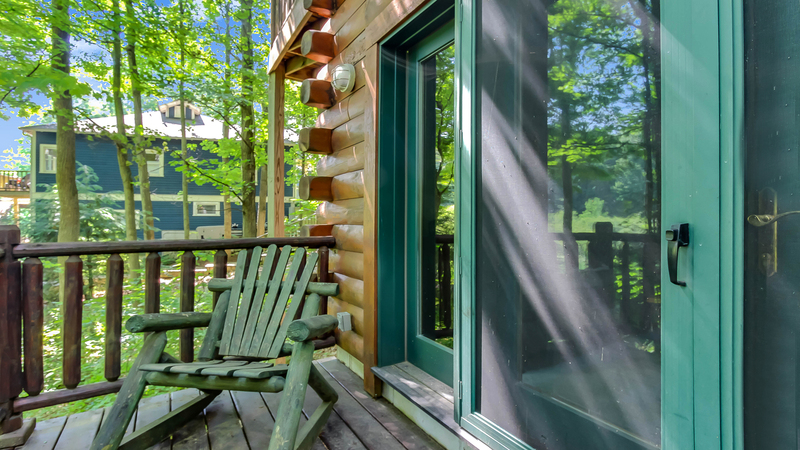 Situated behind the Mildred Peterson Nature Preserve and enclosed in a lush woodland, this log-cabin style vacation rental is a getaway that's not far away from the action at all. It's perfect for the guest who wants the best of both worlds. Swan Lodge is a great place to come in autumn to hunker down, enjoy the fall colors, and stay close to the town festivities. In summer, it's only a 5-7 minute drive to the area beaches. 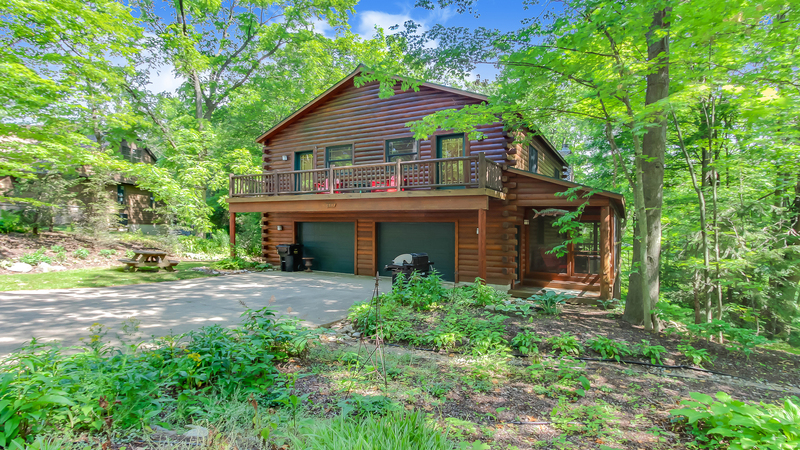 Take in the impressive natural views through the home's two-story windows, entertain friends and family in the spacious living area, and make the most of this in-town getaway.